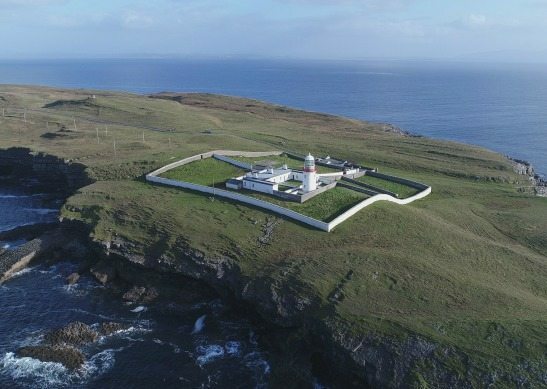 Galley Head Lightkeepers' Houses are perched on dramatic cliffs at about 130 feet above sea level overlooking St George's Channel. The houses, in their elevated setting, make an ideal location for relaxing and getting away from it all. The views from every angle are awe inspiring and breathtaking. 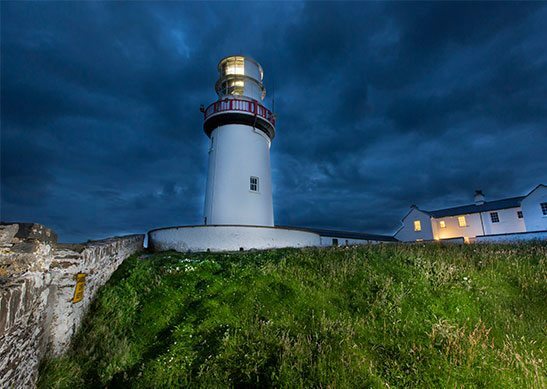 Galley Head lighthouse station is close to the award winning village of Clonakilty. 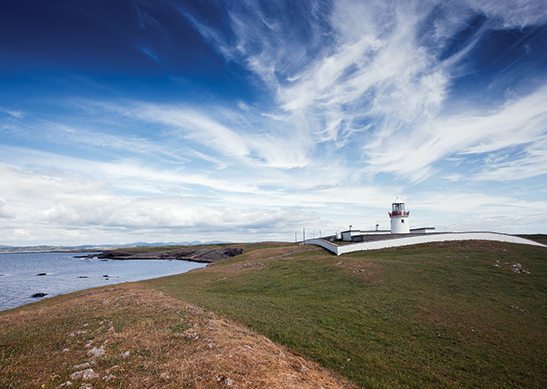 This vibrant market town is a must see for tourists. 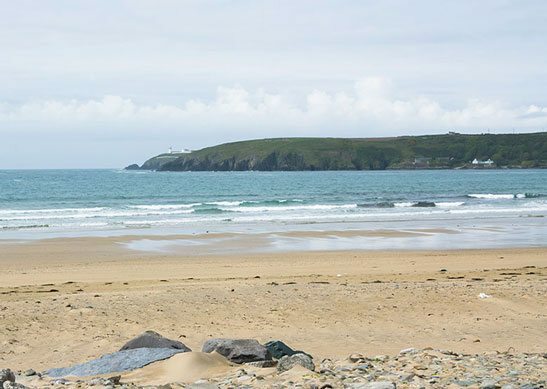 Guests can enjoy a wide range of activities from dolphin and whale watching, surfing at Inchydoney Blue Flag Beach or a historical walking tour of Clonakilty. There are cliffs nearby and children should be supervised at all times. 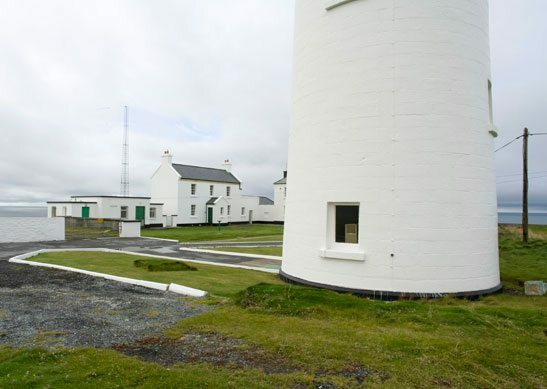 The station was built in 1875, during the heyday of lighthouse building, and within twenty years of its closest neighbours at Old Head of Kinsale and Fastnet. 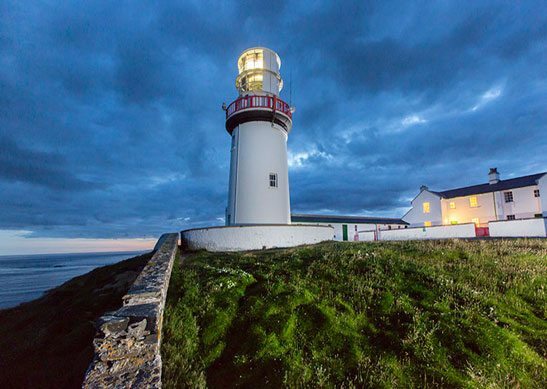 The lighthouse displays an unusual landward arc of light because, it is said, the Sultan of Turkey asked to be able to see it from nearby Castle Freke at Rosscarbery whle on a visit there. The house at Castle Freke, abandoned in 1952, can now be seen from Galley as a gothic ruin. 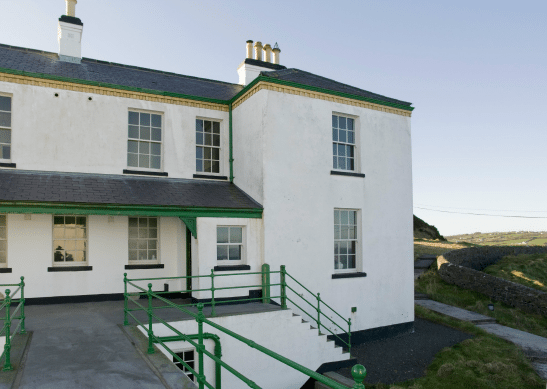 The two keepers' houses at Galley Head, were taken on by Irish Landmark in the final years of the 20th century. 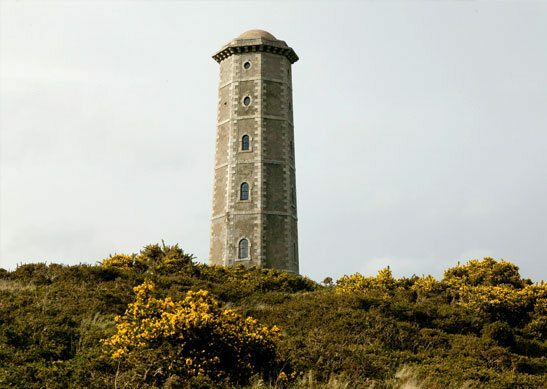 Lightkeepers who lived here would have witnessed the tragic loss of the Lusitania in 1915, and sighted a German ship carrying arms, in disguise as a Norwegian steam, being pursued up the St. George's Channel by British destroyers a year later. It is also said that Ray Bradbury based his melancholy story "The Fog Horn" on a reported sighting of a sea serpent at Galley in 1860. 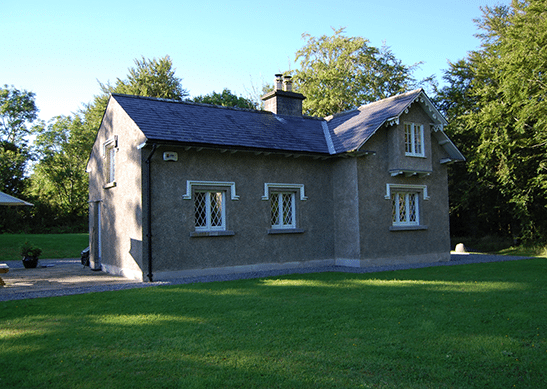 The station consists of a tower connected by a 38 metre corridor to the semi-detached, two-storey, dwelling, originally built for the principal and assistant keeper, a single-storey dwelling for the gas maker. 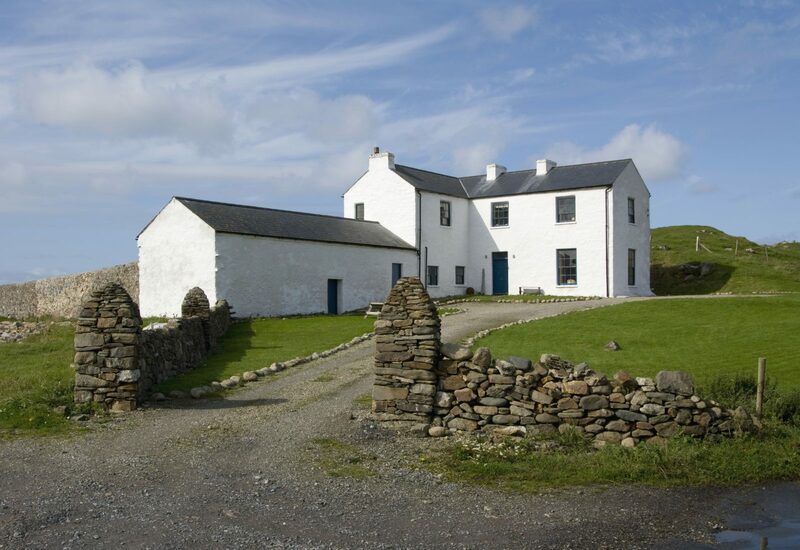 The two houses have been restored to their original symmetrical layout and make an ideal retreat for a family break. "And then suddenly it was white, as white as if a window had opened onto a blanket of snow. 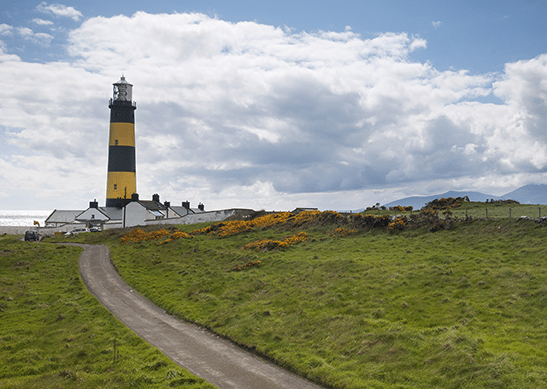 A belt of light crossed the landscape in a giant arc, washing brightness over the road... We saw her, Galley Head, her huge burning bulbs in the distance guiding us home." "A most perfect place and space for resting the body and mind. 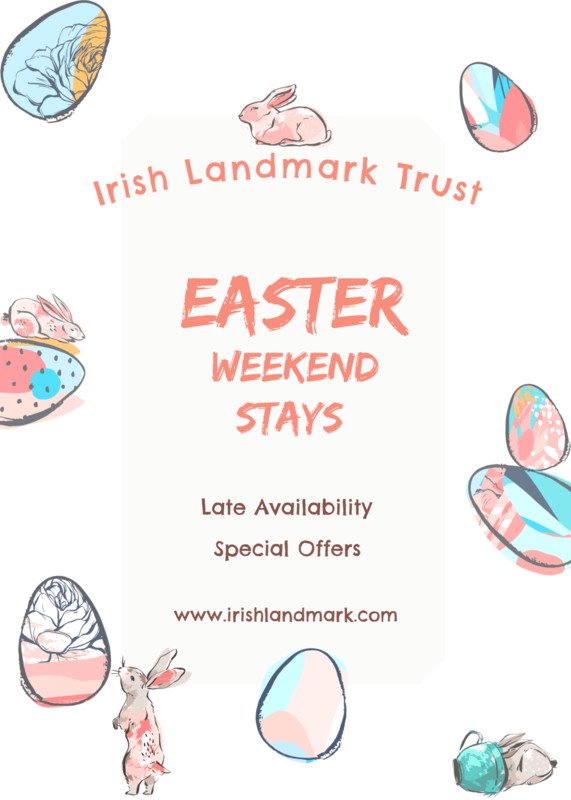 Couldn’t think of anywhere finer to spend a week’s holidays." 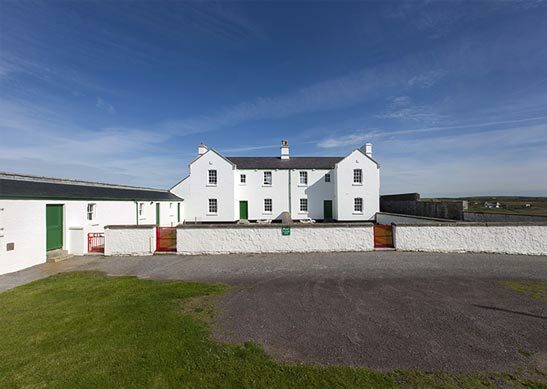 "Our first visit to an Irish Landmark property but I daresay won’t be our last. 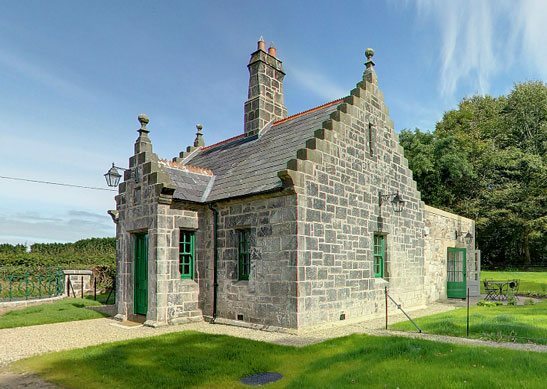 In an era awash with mediocrity it’s refreshing to walk into a property so carefully and considerably restored. We loved our time here." Our buildings were made to the standards of earlier times – and sometimes without the intention that they should be lived in. Consequently, you may encounter features that reflect their particular character but that deserve due care and attention, particularly by the young, elderly, less mobile or visually impaired. Examples of these are steps worn with age, uneven surfaces, low ceilings and beams, unexpected drops or changes in level, and by modern standards low or absent lighting. In all cases we have sought to make a sensible compromise between due regard for safety and the careful retention of the fabric of each building, which makes it an interesting place to stay. We ask you to appreciate and use the building with this understanding. 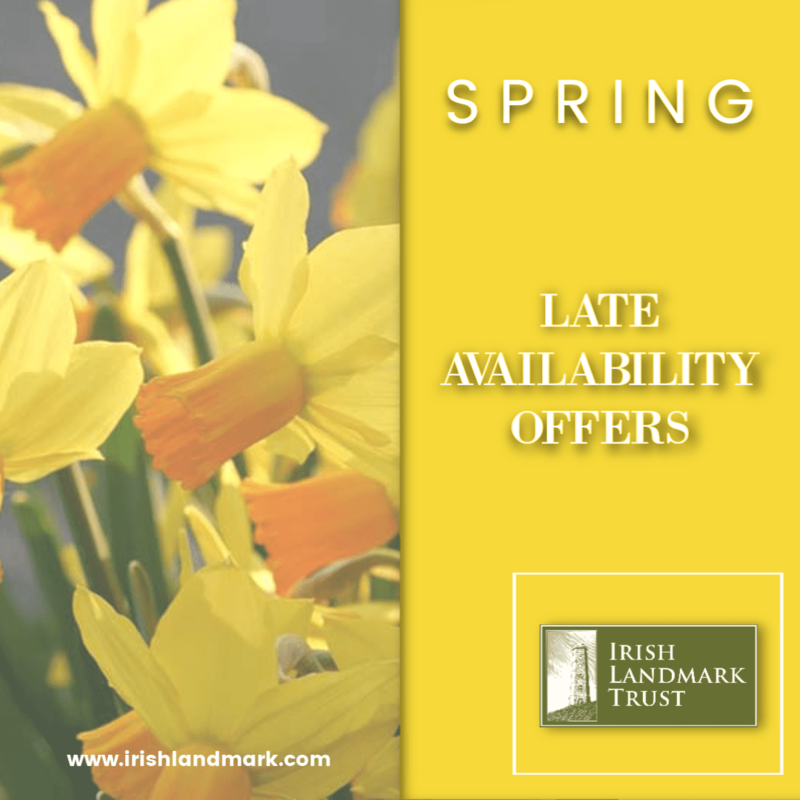 If you have any queries about the property you are interested in and would like more clarification please contact Irish Landmark at bookings@irishlandmark.com. No. 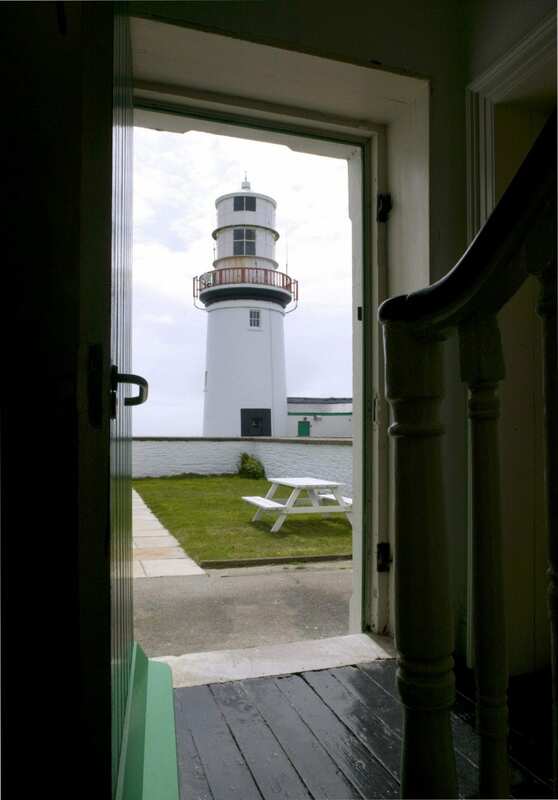 As Galley Head Lightkeepers’ House 1 and 2 are adjacent to one another, they are not suitable for dogs as not all guests are comfortable around animals. Yes. You can light the fire in the sitting room. There is a limited amount of fuel left for the fire (where applicable) so guests may want to bring more for the duration of their stay. Please contact the local House Manager for more information on what type of fuel is used at your chosen property. It would be preferable to have a car otherwise it will be difficult to get to shops, etc as the house is situated at the end of a long laneway. 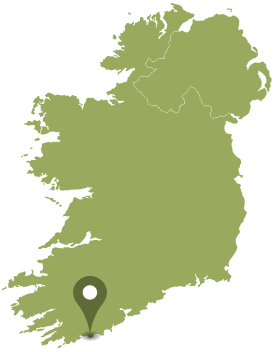 About 15 mins drive back to Clonakilty. 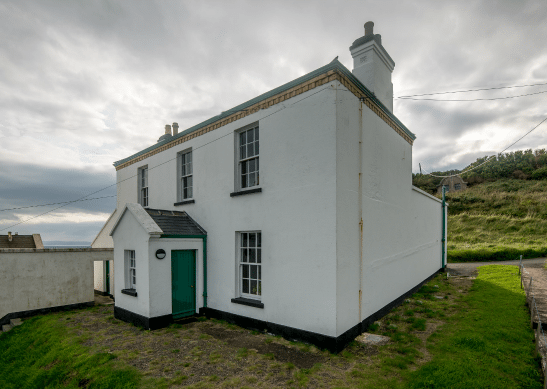 This property is surrounded by a wall but due to its cliff top location, it would be adviseable to supervise young children. Yes. There is a shower room on the ground floor. The ground floor shower room is suitable for the assisted disaabled. There is oil central heating with radiators throughout the house. Yes - there is a shower over bath in the bathroom and a separate walk in shower in the shower room. Yes. 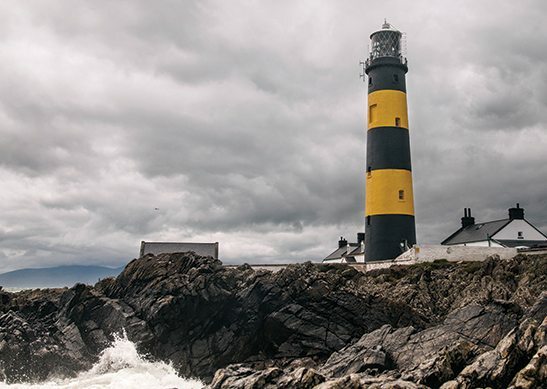 You would get a train or bus to Cork and taxi could take you onwards from there to the Lighthouse. However, you would need a car to get to local shops, etc. What type of heating is in the house? Yes. There is a lawned area to the front of the house.